Heya everyone! How was your Thanksgiving holiday (if you celebrated)? 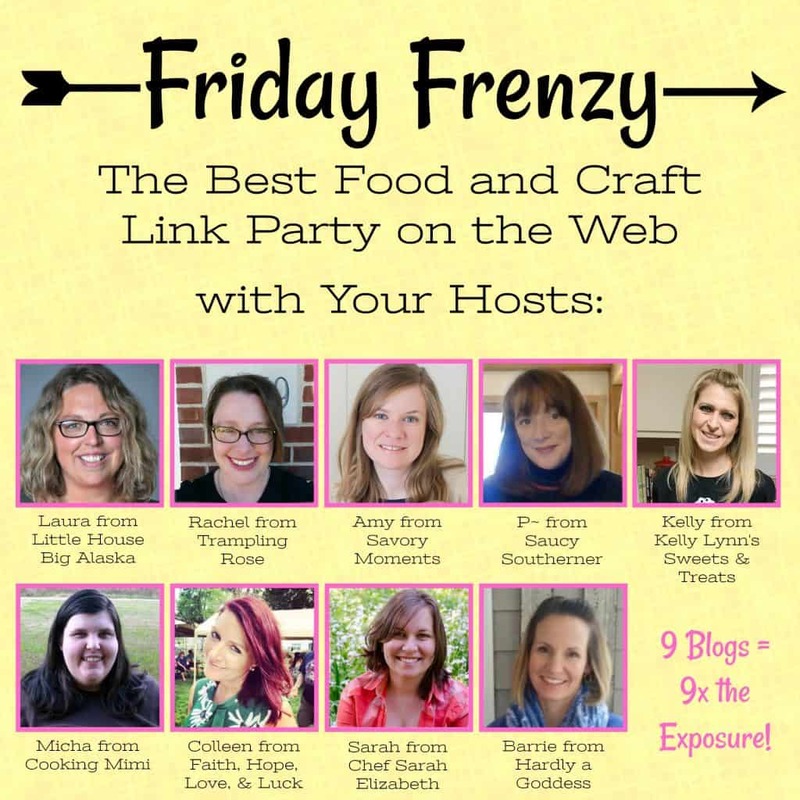 It’s Rachel from Trampling Rose here with this week’s Friday Frenzy highlights. I dunno about you, but my favorite part of Thanksgiving is the leftovers. Like this Leftover Turkey Noodle Casserole from The Kitchen is My Playground. Or if you’re the kind of person who gets up super-early for Black Friday shopping, make up this Overnight Breakfast Casserole from My Recipe Treasures. Go do your shopping and work up an appetite, then pop this in the oven when you get home. Eat up and head back out for round two! I can’t not include a dessert, and this Maple Syrup and Pecan Layer Cake from Cooking with Carlee is just scrumptious! Maple and pecans go together as well as chocolate and peanut butter do, and this is a perfect fall treat. And finally we’re going to finish with a cool craft – Fall Inspired, Super Simple Hexagon Coasters from Eye Love Knots! If you’re like me, you’re constantly nagging other family members not to set their cups or glasses right on the table. These coasters are adorable, and if you’re so inclined, you could make a set for each season or holiday! This entry was posted in Friday Frenzy and tagged foodandcrafts, friday frenzy, link-up party by Rachel. Bookmark the permalink. I hope you had a great Thanksgiving! Thank you for featuring my maple pecan cake! Thank you for featuring our Overnight Breakfast Casserole. I hope that you enjoyed your Thanksgiving.